Milk is in short supply among America’s food banks – it is desperately needed, but seldom donated. 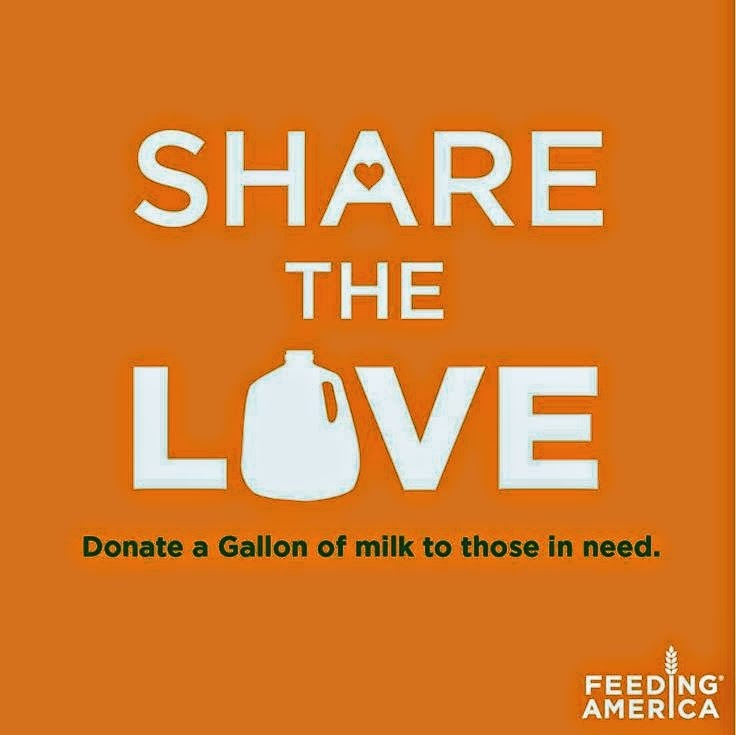 Of the 37 million food bank clients Feeding America serves, they get an average of 1 gallon of milk per person per year. 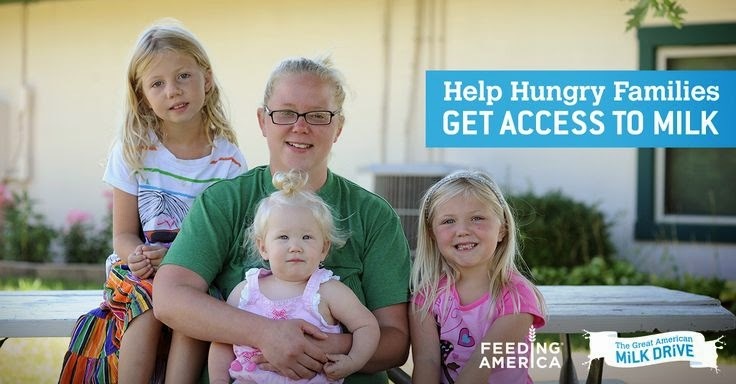 Feeding America food banks hear from their clients that milk is one of the most desired—as well as nutrient-rich—products. However, nearly half of the nation’s food banks get fewer than 24 gallons of milk donated per week. That’s why Feeding America and the dairy industry—including dairy farmers and milk companies—have launched a new initiative called The Great American Milk Drive. The Great American Milk Drive is the first-ever nationwide, multi-year program that inspires people to donate milk to hungry families. This is an opportunity to address the growing epidemic of food insecurity while shining a spotlight on milk’s vital nutrient contributions, such as protein, calcium, potassium and vitamin D.
This campaign makes it easy for people to donate with a simple text or click of the mouse and help families in their own communities. Donations will go to local food banks based on the donor’s zip code and be distributed in the form of milk coupons. The campaign runs from April 2, 2014 through April 1, 2015. 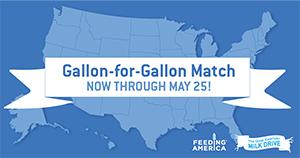 Through May 25, 2014, the dairy industry is matching all donations gallon-for-gallon*. Go to www.milklife.com/give to learn more. You can also watch the kickoff Livestream event from April 2! You can also join us in this movement on social media by using the hashtag #MilkDrive.